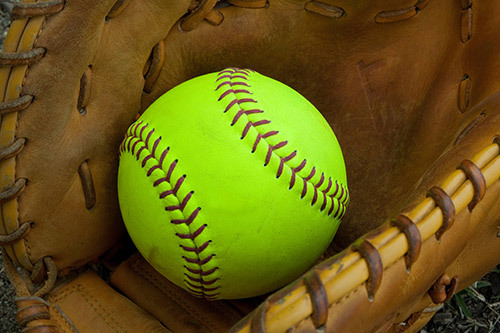 Tryouts for the 2019 softball season will begin on Monday, January 28, 2019. All student-athletes are required to obtain their athletic clearance to be eligible. Completed packets must be submitted to the Cal High Athletic Department no later than January 22! See Tyler Roberts (AD) or Debbie Wong if you will not meet this deadline! Complete information can be found in the Softball Participation link within the Parents tab. After satisfactory completion of the individual skills evaluation, a “survivors list” will be posted online, inviting selected players to return to split squad sessions and continue their tryout in smaller groups, focusing on team / game skills. – PRELIMINARY Varsity and JV rosters will be posted after 9:00 p.m.
Once all prospective players have completed the tryout process, the coaches will then decide who will be offered a roster spot on one of the two teams — Varsity or JV. Our goal is to post these PRELIMINARY Varsity and JV teams online in the evening following the Orange & Black Scrimmage. Teams will be considered preliminary pending completion of the supplemental tryout for winter sport athletes, who may not participate in the tryout until either their winter sport has ended or their coach has granted them clearance to attend. All winter sport athletes will be given a supplemental tryout of at least 3 days, per rule. Since the general tryout will have ended by the time winter sport athletes arrive, and the preliminary teams will have been announced, the supplemental tryout for the winter sport athletes will occur by them taking part in joining the team practices. Once these winter sport athletes have completed a tryout of at least 3 days, the coaches will then decide whether or not any or all will be offered a roster spot on one of the two teams. If any or all winter sport athletes are offered a roster spot, additional player adjustments may occur to either or both of the preliminary Varsity and JV team rosters, before officially finalizing the teams. – Participants should bring all of their softball gear to every session, including appropriate shoes AND cleats for all surfaces. – Any participant who has 3 unexcused absences will be considered as a voluntary withdrawal and will be unable to continue with the tryout. – With the exception of the Orange & Black Scrimmage, all tryout sessions are closed. Only players and coaches should be in attendance. – Check this site everyday for late-afternoon updates regarding changes based on field and weather conditions.